The Canadian Radio-television and Telecommunications Commission backed down in its public spat with Netflix and Google yesterday, releasing public letters advising the two Internet giants that without the supporting evidence it was seeking, the CRTC will remove all Netflix and Google materials (including submitted documents and transcripts) from the public record. The Commission emphasized that it maintains the power under Section 16 of the Broadcasting Act to require disclosure of information and that participants cannot pick and choose the parts of the regulatory process they participate in. Yet rather than enforce that power, it has decided not to fight the Netflix and Google refusal to disclose information, instead opting for a regulatory right to forget. 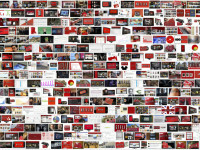 CRTC vs. Netflix: Has Canada’s Broadcast Regulator Started a Fight It Can’t Win? Canadian regulatory hearings are usually relatively predictable affairs with scripted presentations and well-rehearsed speaking lines to most questions. During the recent two-week Canadian Radio-television and Telecommunications Commission hearing on the future of television regulation (dubbed “TalkTV” by the CRTC), Chair Jean-Pierre Blais expressed frustration on several occasions with the unwillingness of witnesses to veer much beyond their prepared notes. My weekly technology law column (Toronto Star version, homepage version) notes that changed on the final day of the hearing, though it was Blais that seemingly departed from the script. Netflix, the online video giant that popped up in virtually every discussion, was one of the last witnesses on the schedule. 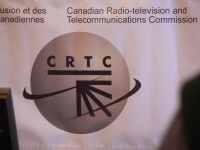 The company had submitted comments to the CRTC consultation over the summer, but had not asked for an opportunity to appear before the Commission. After the CRTC requested that it come to Gatineau to answer questions, the company came prepared to discuss the development of its business, but chafed at the prospect of disclosing confidential information such as subscriber numbers and spending on Canadian content. Blais took great umbrage at its reluctance to disclose the information, ultimately ordering the company to comply with the information request and implying that failure to do so could result in new regulation. The Netflix – CRTC battle has generated considerable attention, but Netflix is not alone in contesting the CRTC’s authority to regulate Internet video services. As I suggested in a post yesterday, Google has adopted a similar position, refusing to provide the Commission with all of the information it was seeking. While the Google and Netflix submissions have oddly not yet been posted by the CRTC (all others have), the Globe obtained a copy that confirms Google’s position that it believes it also falls outside the Broadcasting Act. 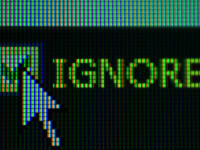 According to the report (also not online), Google declined to provide some requested data, noting that “Google does not publish or otherwise disclose this commercially sensitive business information.” The company adopted the position that its disclosures were voluntary and that it is not part of the Canadian broadcast system. The Google position is notable because it is presumably not based on the question of presence within Canada, since Google maintains a significant Canadian presence. 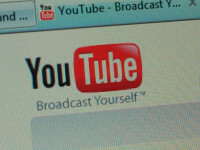 Rather, the core challenge will likely focus on whether a service such as Youtube (which once went by the slogan “Broadcast Yourself”) can properly be characterized as broadcasting for the purposes of current Canadian law. The Responses are filed voluntarily by Netflix to assist the Commission in this proceeding. The Responses are based solely on a review of the video archive of Netflix’s appearance on the CPAC web site, in view of the fact that the transcript from the hearing was not available. The filing of the Responses is not an acknowledgment of or attornment to either the jurisdiction of the Commission by Netflix, or the substantive application of Canadian law (including the provisions of the Broadcasting Act) to Netflix. The Responses are filed strictly without prejudice to any future positions that Netflix may take.